So we've hit 100 likes! And we promised an ebook Giveaway! 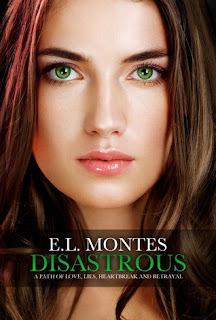 Author E L Montes has kindly offered to give 5 of our readers an ebook copy of Disastrous! This was the book that made Willow and Dawn great friends! They noticed on Goodreads that they were both reading Disastrous and when they finished they ended up sending messages to each other because they both felt they had to discuss the book! We can't wait for the next book in the series called Cautious which out on 23rd May 2013. Check out this great cover with Marcus on to match the Disastrous cover with Mia! Enter below for your chance to win an ecopy of Disastrous !